Switch Me is circular adventure puzzle game filled with big and mean balls. 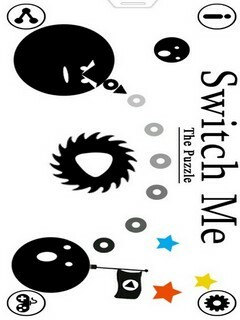 Switch Me is puzzle with balls of different sizes. You play as the smallest one. In this game, Player has to jump across the rotatory circle ,collecting stars and avoiding deadly obstacles and reached to the destination. This is simplistic one-touch puzzle game. Switch Me have many levels, designed in a such way that Novice can progress while those looking for a real challenge will have hours and hours of fun. 1. This is the simplest Funny Puzzle game. 2. Jumping Ball on rotate Circle in this game. 3. All ages play this game. 5. Fun And Play with Friends. Download Now, Its Free !! !